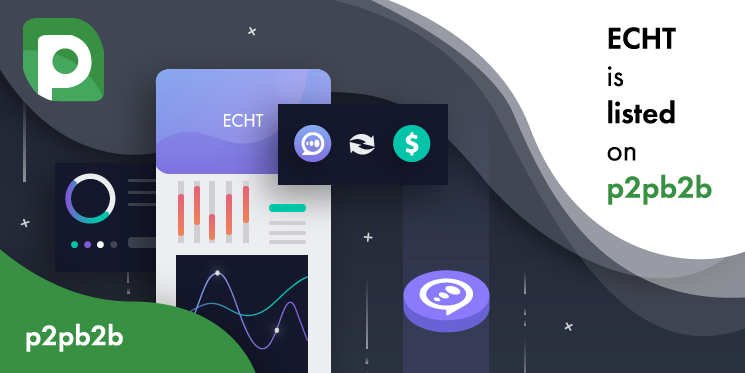 ECHT is the main cryptocurrency of e-Chat – a decentralized crypto messenger. The app is used for communication with friends, conducting of business, and unique content monetization. The messenger already has over 2.5 million users all over the world. ECHT token is used in the app for payments for copyright content and access to paid channels, rewarding authors through «cryptolike», and payment for some e-Chat functions related to infrastructure costs. p2pb2b exchange is already providing traders with a new experience in trading cryptocurrencies. Being completely updated after 4 years of work, we give businesses and individual traders a fast, reliable and safe platform. Join p2pb2b and start trading now!